I’ve been playing steel guitar for 43 years, and teaching E9 steel lessons for 21 years. I consider teaching to be my most important contribution to the steel guitar community. My curriculum, “E9 101: Bandstand Fundamentals,” is simple, logical, and presented in the proper sequence to systematically build your playing and music theory skills. My success with teaching is borne out by having many students who have gone on to play professionally. 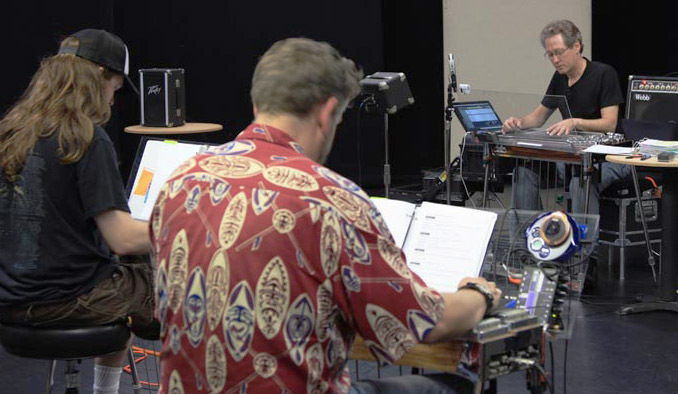 For students not bound for the stage, their knowledge and technique improve immensely in a very short time; but most importantly, their personal satisfaction playing pedal steel has been greatly enhanced. I will help my students achieve their personal goals with steel guitar through thoughtful and individualized teaching based on my years of real-world experience. I will encourage them to be as creative as they can, and to find innovative ways to express themselves through this wonderful instrument. ​My ultimate goal is to give students an understanding of music, and their instrument, so that they can discover and learn most things on their own.